National Cycle revolutionizes windscreen performance with the VStream® Windscreen! The patented "V" shape and advanced dimensional contours push the wind vortex away from the rider's head, resulting in a more, quiet riding environment. 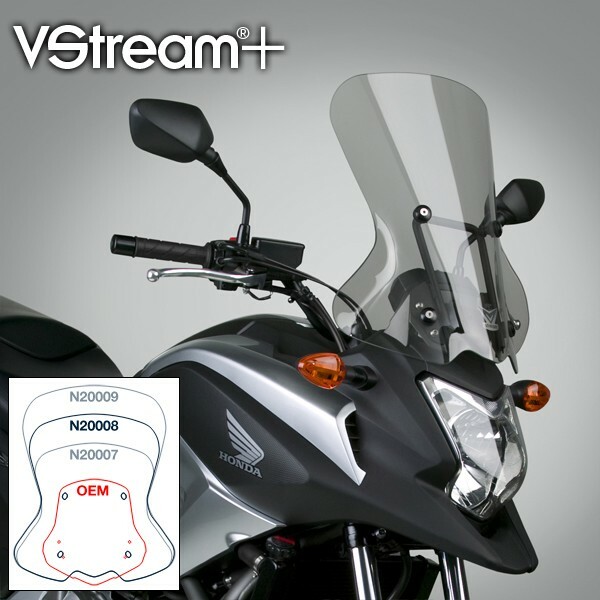 The specially designed VStream mounting system for the NC700X is strong, lightweight, and easy to install. 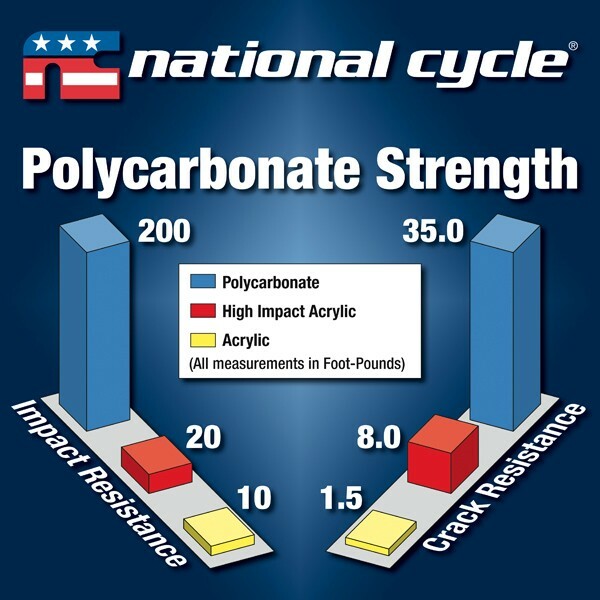 It's designed to afford maximum stiffness and minimum weight without any compromise in structural integrity. Non-glare black powdercoat finishes it off. 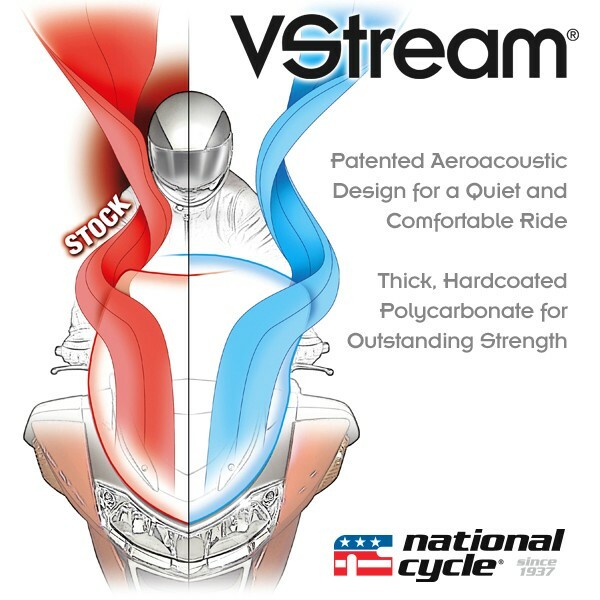 VStream+® Review by Stephen F.
VStream+® Review by Mike O.
I received the VStream® Windscreen about a week ago. 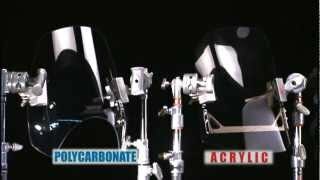 I mounted it on my Honda® NC700X and I love it! 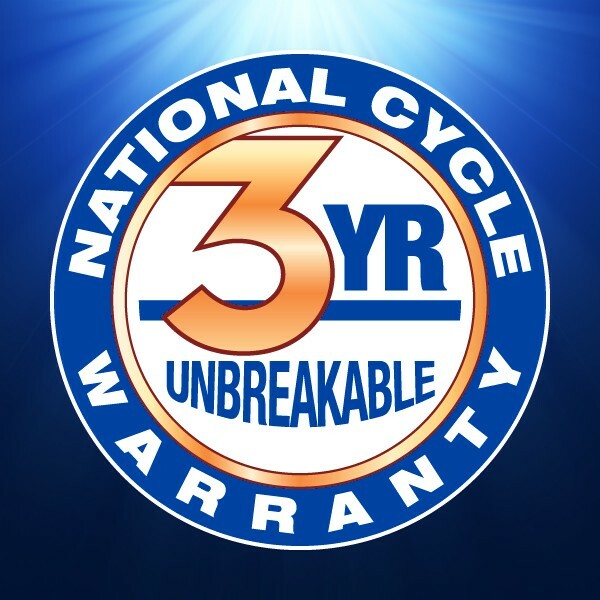 I have logged approximately 200 miles with the new screen, and I am so glad I went with National Cycle.